Survival International accuses Barefoot group of endangering the lives of the entire Jerawa people and of potential genocide! 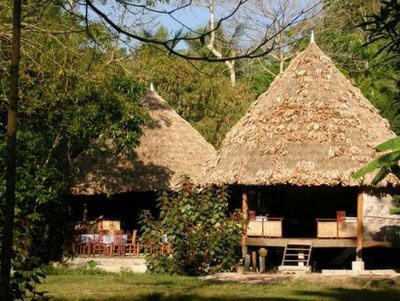 On 16th June 2009, we received several forwarded emails from friends and colleagues about a press release from Survival International titled, "Celebrity resort threatens isolated tribes". This was of concern for us at Traveltocare.com and The Blue Yonder as the Barefoot Group is one of our partners in business. We have recommended them to our guests , they impressed us by sharing their credentials and initiatives as a responsible service provider. We have been working together and a campaign accusing one of our partners as 'irresponsible" and worse, accused of threatening the survival of the Jarawa people of the Andaman Islands came as a shock. We approached Samit Sawhny (Managing Director) of Barefoot asking if the accusations were correct or not and if Barefoot had a statement to make. The well-documented reply that we received from him makes us quite sceptical about the real intention of Survival International and we believe that this issue has to be brought out in the public domain. We urge you to read the contents in the links Press Reports from Survival International and Responses from Barefoot. Based on Survival International's accusatory and ill-worded press release and Barefoot's response, this appears to be a malicious campaign by an NGO based on sheer ignorance, carelessness or ... We have seen many businesses in the travel industry that would fit into the domain of being irresponsible. We have also seen many travel companies, accommodation providers and governments being accused by NGOs of being irresponsible. We want to stand by one of our partners who is engaged in a legally and responsibly managed business. Campaigns based alone on emotions and celebrity name-dropping (like Kate Winslet) can bring in sound bites, but should lose credibility if the facts are not right. We would like to hear your opinion: Can NGOs freely accuse any business of wrong doing, without substantiated research and evidence? Aren't NGOs accountable for their words and actions? Doesn't responsibility apply to NGOs as well, or is this confined only to private business and governments? We would like to hear your voice on this topic! Join us on the Irresponsibletourism.info forum to discuss the responsibilities of NGO campaigners.